On December 7, 2018, a student was hit by a car on school grounds. The child was in the crosswalk between the High School's main door and the Korean Church. The driver of the car reportedly ignored the stop sign. The crash sent the kid to the hospital. Below is the letter we wrote to Superintendent Borsari in response. We are saddened to hear a driver crashed their car into student Juan Tenezaca in the crosswalk of the High School's driveway on Friday evening. 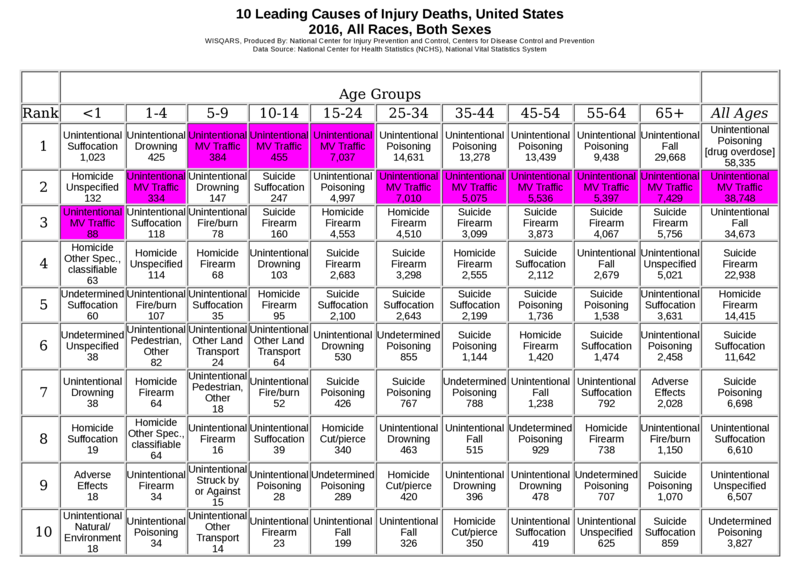 As mentioned on earlier occasions, motor vehicles are by far the top cause of injury death for children. It's past time for the District to reduce these risks. 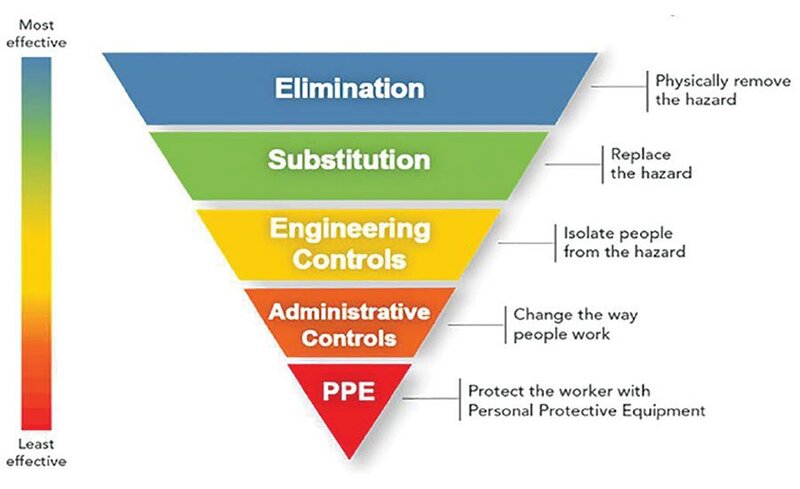 Occupational safety professionals have found eliminating hazards to be the most effective safety strategy. (See the Hierarchy of Controls, right.) In the case at hand, this means keeping cars away from schools. A growing number of schools are doing this around the world. See "The European Answer to School-Drop-Off Chaos," Streetsblog, November 27, 2018. Most importantly, only staff operated motor vehicles should be allowed on school grounds during hours when students are present. The District also needs to strongly discourage driving to school and encourage taking the bus, walking and cycling. Where Broadway, Depeyster St and the school driveway intersect is Sleepy Hollow's #4 crash location, with 6 people injured in the past 10 years. Also, the driveway is used as shortcut between Broadway and Bedford Rd. Put a permanent barrier in the driveway by the High School's main doorway. It would be cleanest to adjust bus movements to not pass this location. If that's logistically impossible, movable barriers (operated by staff or automated) can be implemented. There are several transportation enhancements being discussed as part of Sleepy Hollow's Comprehensive Plan process. 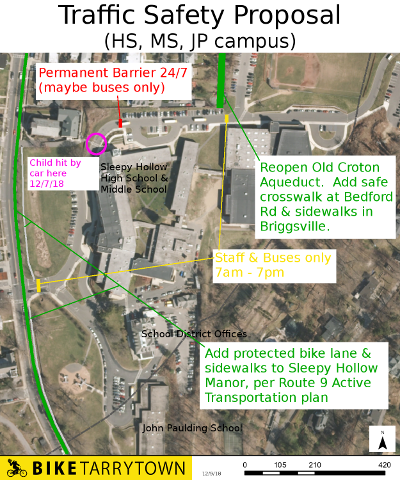 Direct school involvement is needed for the sidewalks at Peabody Field and the HS, MS, JP campus. The other aspects will be bolstered by the District indicating support. Implementing the full Route 9 Active Transportation Plan. It includes a 2-way protected bike lane and sidewalks from Patriots Park to Phelps Hospital. 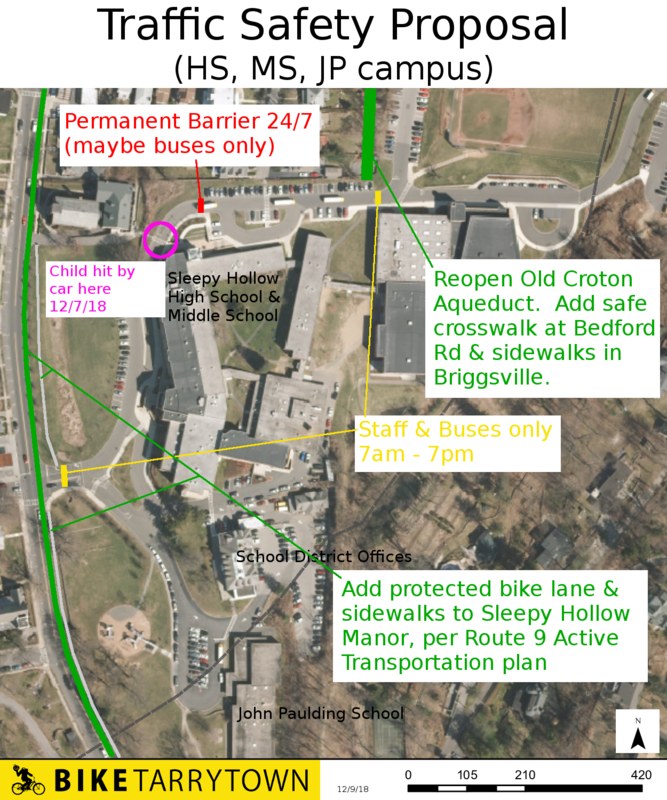 This provides safe options for getting to the main school campus as well as Peabody Field. The current operations at Morse are an accident waiting to happen. 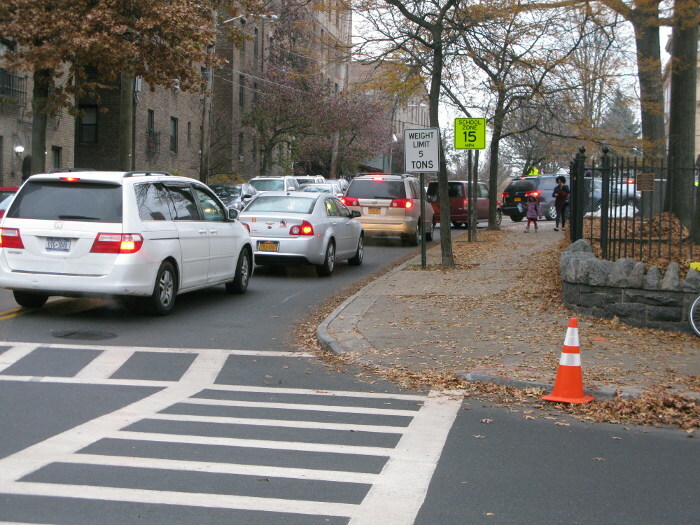 The sidewalk is blocked by the line of cars driven by parents waiting to drop off kids (see photo, left). Non-school bound people walk between the cars. Someone will inevitably be hit here. The dangerous situation causes stress for everyone involved. Then there's the plume of toxic fumes kids have to go through. Plus the time of multiple staffers get diverted to managing traffic instead of education. The drop off situation was far better during the elevator construction three years ago. Parents would park on Beekman Ave or Pocantico St and walk their kids to the door. As an added bonus, it created opportunities for parents to talk to each other and staff, improving social cohesion in the community. Sleepy Hollow recently did a traffic safety enhancement demonstration project at the intersection of Beekman Ave and Pocantico St (see photo, right). 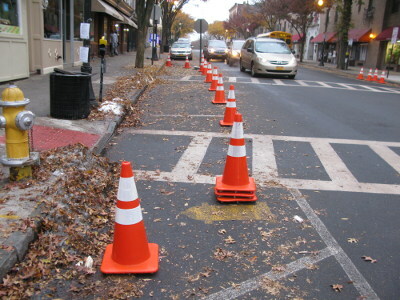 The Village is presently considering whether to make these improvements permanent. A letter of support from the District will be helpful. Members who walk to WI from the south say driver behavior at WI's southern driveway is problematic. Consideration should be given to closing this driveway or limiting left turns in to and out of it.